University of Maryland Medical System Board Chairman Stephen Burch (right) speaks with reporters Wednesday as UMMS President and CEO Robert Chrencik looks on. The two men met with Gov. 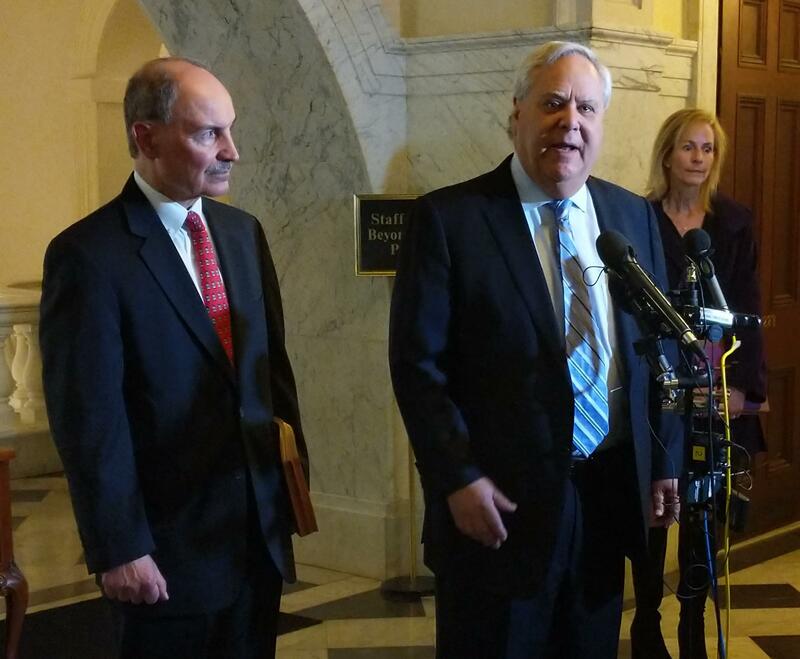 Larry Hogan and Senate President Mike Miller Wednesday afternoon. Baltimore Mayor Catherine Pugh — who sold the hospital her self-published children’s books for $100,000, a deal that was first reported by The Baltimore Sun last week — and two other board members have resigned, and Burch said he asked four others to take a leave of absence. Hogan, Miller and House Speaker Michael Busch are calling for audits of the arrangements, as well as transparency and accountability going forward. Busch — who missed the meeting because of a medical procedure — released a statement praising legislation sponsored by Baltimore Senator Jill Carter that would prohibit board members from having financial ties to the University System of Maryland, including the University of Maryland Medical System. Miller said he expects to pass legislation addressing the issue before the legislature goes home in 19 days.